CURE FOR NEW YEARS EVE HANGOVER! 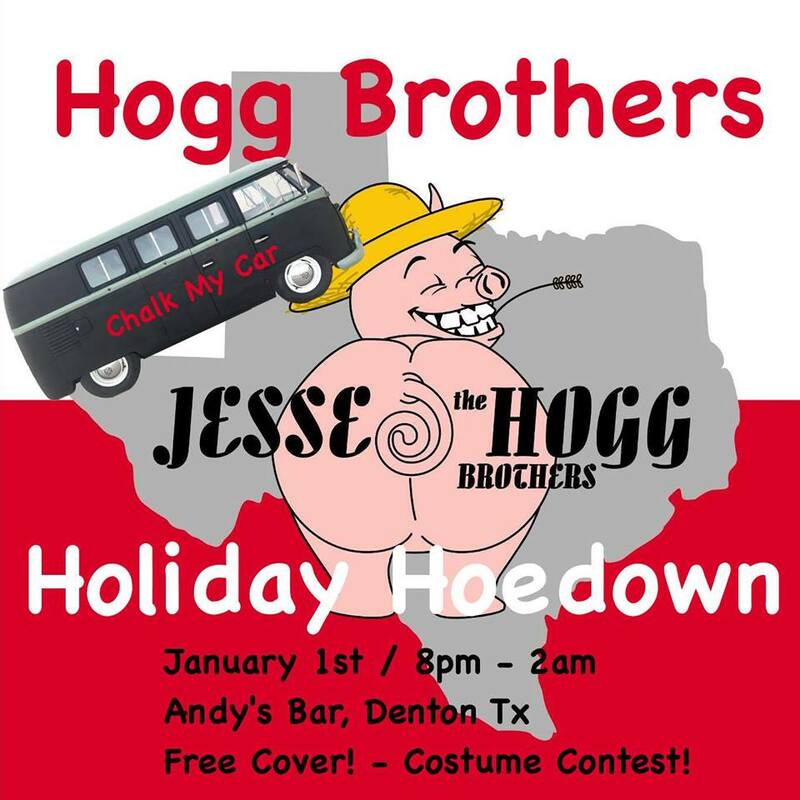 Black and Blue recording artist, Jesse and the Hogg Brothers, hosts the Free Horrendous Holiday Hoedown Jam and Hoggditions. Dubbed the “First Family of Texas CowPunk”, some call it comedy country, you’ll call it “OMG DOPE!”. This national touring act is recruiting UNT Music students, or anyone who loves music, to join their unique family of multiple “regional bands”. YOU are invited to hop on stage and play with the band. Can’t play an instrument? Sing, play kazoo, tambourine, spoons, or dance. Take a listen to the Jesse and the Hogg Brothers catalog. Pick a song. Learn a guitar solo, drums, lyrics, how to clap, whatever. This is a FREE festival style party, so invite all your friends and your crazy grandma. Dress up like a redneck or barnyard animal for a chance to win a special prize!!! Also featuring the ChalkMyCar chalkboard paint VW bus with photo booth.